The Peoples Democratic Party has petitioned the National Judicial Council over what it called the violation of the Constitution and Electoral Act by Justice Ekwo Inyang of the Federal High Court by sitting on a matter that it said ought to have been handled by an election petition tribunal, as created by the provisions of our laws. The party noted that in granting an exparte order stopping the Independent National Electoral Commission from concluding the governorship election in Bauchi State, Justice Inyang violated Section 87(11) of the Electoral Act, which states that no court has the power or jurisdiction to stop any election pending the determination of a suit. 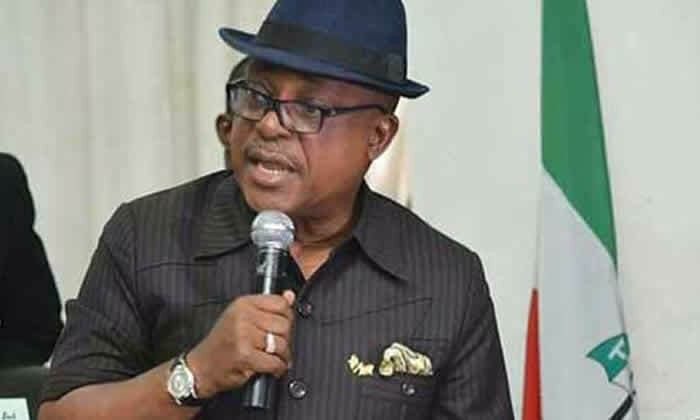 In an affidavit sworn to by the PDP’s National Chairman, Prince Uche Secondus, in Abuja on Tuesday, the party noted that issues of collation of results and declaration of winner, is a post-election event and, therefore, falls under the Electoral Act and Constitutional provisions for the election petition tribunal. The affidavit read in part, “Despite this clear provision of the law, Justice Ekwo decided to hear the application of Alhaji Mohammed Abubakar and his political party, the All Progressives Congress (APC), within twenty four hours on 19th March, 2019 and issued an order on INEC not to continue with the election until the case before him is finally decided. “That the collation of results is a post-election event and under section 87(11) of the Electoral Act, no court has the power or jurisdiction to stop any election pending the determination of a suit. “That an election includes voting, collation of results and the declaration of results. “That as a result of the order on the Independent National Electoral Commission, the conclusion of the Bauchi State Governorship election which was to take place on 19th March 2019 was stalled. “That the order of Justice Ekwo was made contrary to the provisions of the Constitution of Nigeria, 1999 as amended dealing without fair hearing and also section 87(11) of the Electoral Act. “That the Chief Justice of Nigeria has constituted the various Election Petition Tribunals in Nigeria to handle such cases and the assumption of jurisdiction by Justice Inyang Ekwo is an affront to the constitution and electoral wishes of the people of Tafawa Balewa Local Government Area and Bauchi State.” Secondus added that not only did Justice Inyang violated the clear provisions of the Electoral Act, the motion granted “is also an affront to the electoral wishes of the people of Bauchi State who have clearly chosen their next governor in voting for the PDP’s candidate, Sen. Bala Mohammed.” The chairman of the main opposition party urged the NJC to save the nation’s democracy by taking an urgent step against the alleged violations by Justice Inyang. This bauchi governorship election is getting too hot. I pray their won't be violence because when elephants fight its the grass that suffers.